Where Should You Go For Mobile Wheel Repair Services? 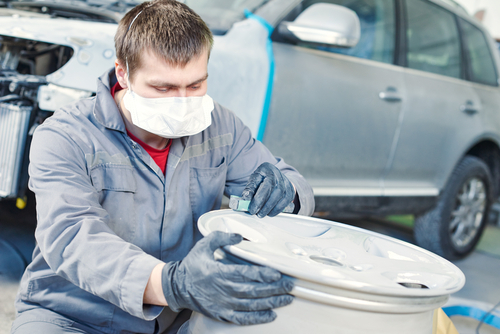 The next time you need wheel rim repairs or alloy rim repairs for your car, where should you go? Of course, the first thing in mind is to visit the car manufacturer’s service centre. Unfortunately, doing so can mean that you may need to wait longer for your mag rims to be fixed. Vehicle owners tempted to save money repairing their alloy wheels will go online and check for videos and materials so they can carry out alloy rim repairs by themselves. Although cost efficient, a DIY repair of mag wheels by someone inexperienced can do more damage than harm to your wheels. If you want fast, efficient and reliable alloy wheel repair for your wheels, only trust expert mag rim repair centres. If you own a luxury car or a performance car, don’t simply trust anyone to fix them for you. If your wheel or rim has a dent, ding or scratch, go to an auto service centre that specialises in repairing wheels and alloy wheels. Your wheels will be blemish-free within a short span of time, thus enabling you to drive your car back home sooner than later. If you want to go beyond wheel rim repairs, choose a mag rim repairs shop that can accomplish minor rim repairs to comprehensive wheel restoration packages. To save money, you may choose to get a complete wheel restoration package so your wheels roll out looking and functioning as if they were new. Finding the right mag rims and alloy rim repair providers can be tricky especially for motorists who have not had any issues with their wheels before. It is important to find an experienced service provider that can give you the best repair for mag wheels at competitive service rates. To ensure that you are getting the most bang for your buck, choose an auto repair shop with great resources and staffed with seasoned mag wheels repair specialists that will go the extra mile to make your wheels look and feel brand new. A reputable rim repair company is transparent on pricing and will give you detailed information on the processes, tools and machines that will be used in repairing your mag wheels. Before calling any repair service specialists for mag wheel repairs, you can check our offerings first by clicking here. To get excellent mobile wheel repair services, give us a call today at 0421 136 101.